This entry was posted on Thursday, September 12th, 2013 at 9:02 am	and is filed under . You can follow any responses to this entry through the RSS 2.0 feed. You can skip to the end and leave a response. Pinging is currently not allowed. 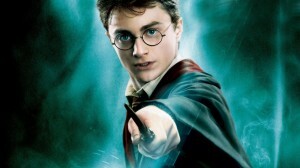 « J.K. Rowling and Warner Bros. Will Make More ‘Harry Potter’ Films!!! Wars come and go, but my soldier stay eternal. I like that. Who said it? Jefferson? Patton?